Yesterday, Aleteia published a nice little article about the return to beauty in church building, with a slideshow highlighting six American churches built within the last 15 years or so. These are all nice examples of the trend away from the ugliness of modern architecture, which continues to grow as the Church slowly, painfully gets over its unrequited love for the modern world and all it represents. 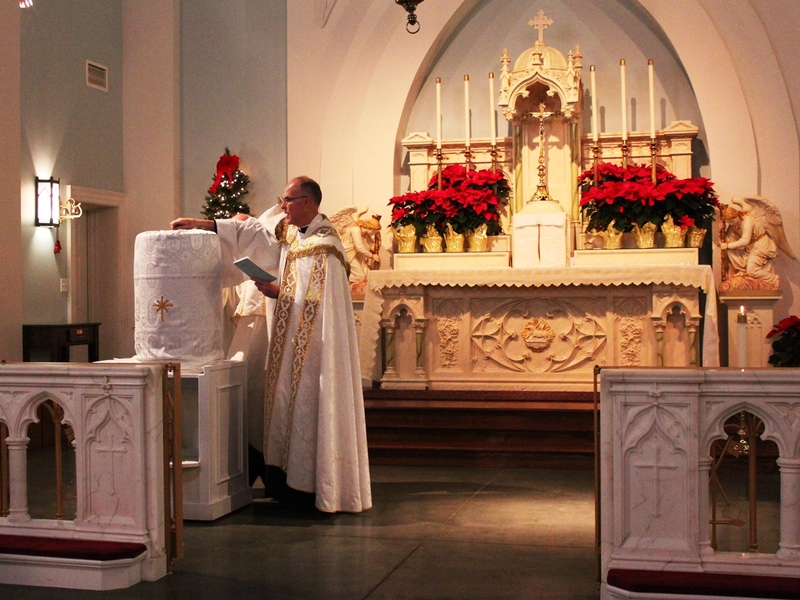 One of them, St Benedict’s Parish in Chesapeake, Virginia, run by the FSSP, is also one of the first churches in the world to be designed and used exclusively for the Extraordinary Form since the 1960s; it was dedicated on March 5, 2011 by H.E. Francis X. DiLorenzo, the bishop of Richmond, Virginia, and canonically erected as a parish less than a year later. They are also faithful contributors to our NLM photoposts.